Daniel Wu May Quit Entertainment Industry? 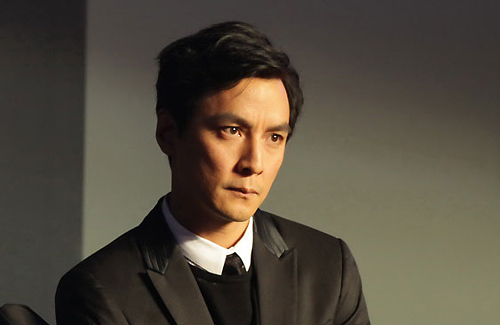 When Daniel Wu’s (吳彥祖) 77-year-old mother passed away from colon cancer in May, he announced temporarily leaving the entertainment industry to take care of family members in the United States. However, Daniel may be taking the opportunity to permanently retire from the entertainment industry. For the past half month, Daniel has been idle within the entertainment industry. In the middle of June, he exclaimed he would not accept any more film offers or attend any functions for the time being. As a result, he missed the promotional events for new film, Overheard 3 <竊聽風雲3>. Tabloids soon learned it was because of his mother’s passing from colon cancer. Diagnosed with cancer since 2012, Daniel’s mother’s condition unfortunately became worse this year. After her death, Daniel had been busy making funeral arrangements. Surprisingly, Daniel was spotted in Hong Kong last week in the waters by Sai Kung on a stand up paddle board. This is a relatively new water activity in Hong Kong, but originated in the 1960s in Hawaii. Usually out with some friends, Daniel was seen alone this time. He paddled offshore and did not return until an hour later. Reporters also noticed a bird tattoo on his right arm, which is believed to represent the love for his one-year-old daughter named Raven. TAGS: Daniel Wu, Lisa S.
10 comments to Daniel Wu May Quit Entertainment Industry? Right he is…nothing is more important than family! We feel your pain at the loss of your dear mother. Good luck with everything Daniel! You are a prince of a man! Enjoy your family! If this what he want then we should be respectful for his decision. True, a man to be admired and a son to be proud of. I do wish him all the best in whatever he has decided to do. Quiting E circle, wonder what is he planning for his future… into business.in HK or US. I doubt that he will quit the industry permanently. He is an artist and his love of acting can never be replaced. Daniel Wu isn’t quitting the industry, he’s just changing markets. Clearly hollywood is his goal.